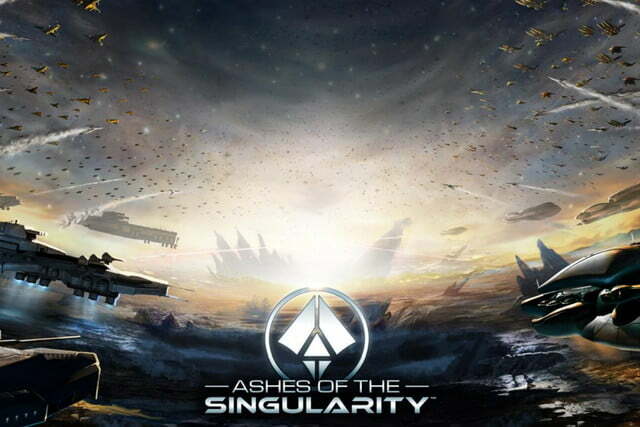 Ashes of the Singularity is a game that a lot of people have been keeping an eye on, for technical reasons as much as gameplay. It was the first game announced to support DirectX 12, and it’s been a showcase of the draw-call performance gains from that API from the get go, with thousands of individual units on screen at once. So, what’s new in version 2.0? To make sure your PC doesn’t just skip through the demo, Oxide has added a new environment and a new class of “the substrate” army. We’re also told that an average frame rate output will be reported, to let you know how it’s getting on. These additions pale, though, in comparison to the two major features that make the Ashes of the Singularity benchmark useful. Firstly, the benchmark supports asynchronous computing, which is a feature that has been talked about a lot in the build up to the release of commercial virtual reality. 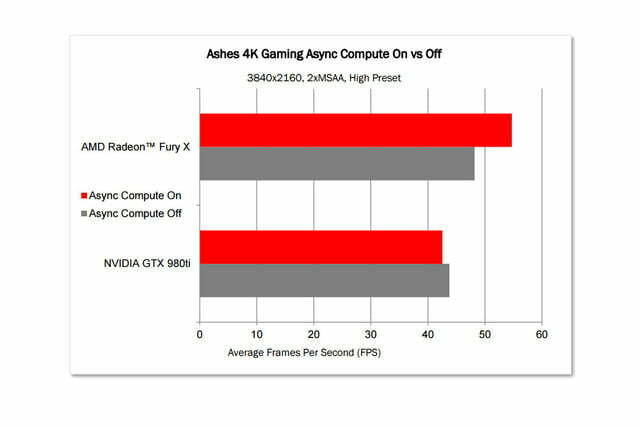 However, it can be used elsewhere, and offers significant performance gains for AMD GPU users, as it allows synchronizing tasks across multiple threads to reduce render time. 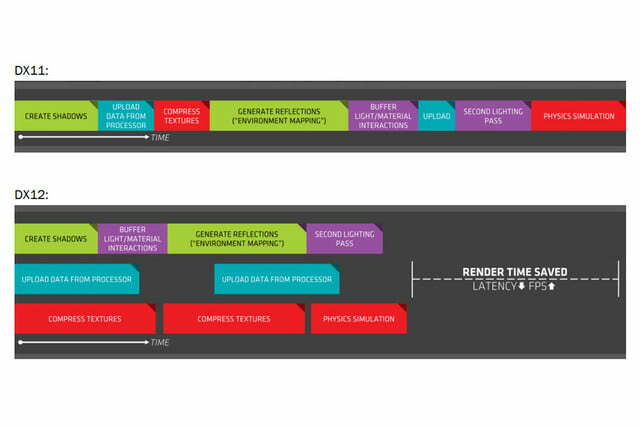 That cuts back on graphics pipeline latency and ultimately leads to higher overall performance. These changes to shader support are bolstered by “multi-threaded command buffer recording.” While that may sound like a mouthful, it boils down to being able to utilize all CPU cores and threads to feed a GPU’s pipeline, rather than just the one that was able to do so under DirectX 11. 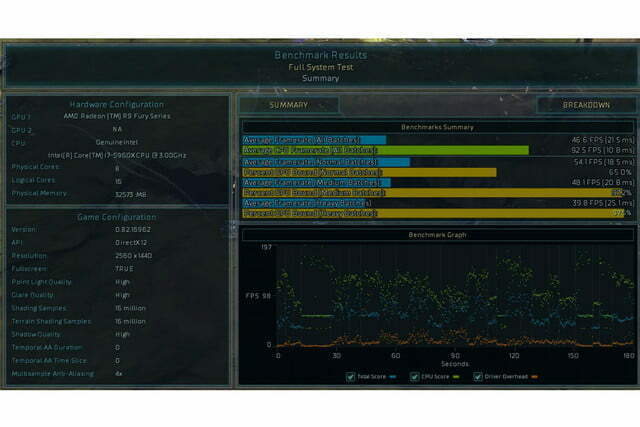 That should help cut back on CPU bottle-necking, and means that this new versions of Ashes of the Singularity benchmark should run better than ever before. This release has been announced in conjunction with AMD, with the latter using it to promote its hardware. There is some real evidence to suggest Nvidia’s current GPUs won’t be as capable of utilizing certain features of the DX12 API. We’ll wait until we’ve tested it ourselves to confirm this, but considering DX12 looks set to allow AMD and Nvidia graphics cards to work side by side, that might not be a problem.